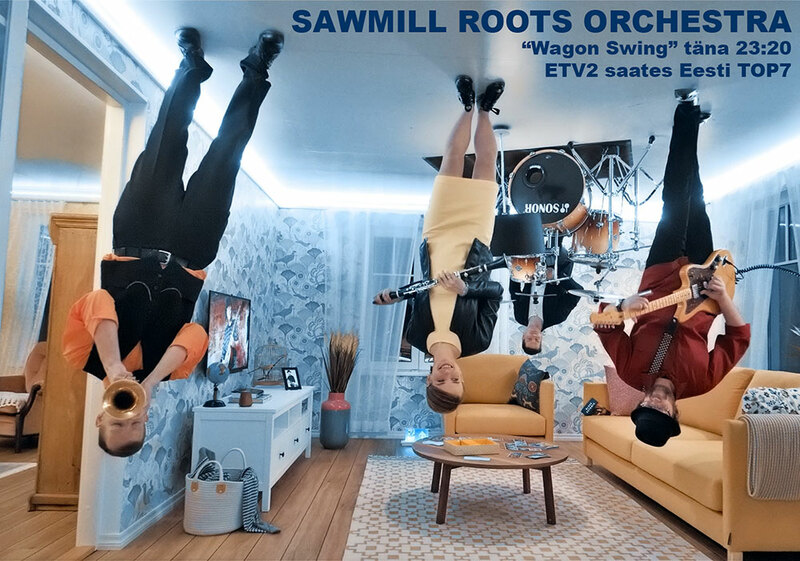 Sawmill Roots Orchestra's music video "Wagon Swing" will premiere tonight on ETV2's "Eesti TOP7" show and will be available on YouTube shortly after. The video was filmed at the Upside Down House in Tartu, directed by Asko-Romé Altsoo, with the help of Marti Savi (grip) and Cristine K. Bartels (makeup). The clip also contains footage from a February concert at Illegaard, filmed by Sirje Penjam, and features photos by Leif Laaksonen.